Proactive risk management is the key to successful business and increasingly important in today’s business environment and is fast becoming a prerequisite for successful operations. Companies nowadays are facing with emerging risks to business performance, operational pressure to control costs while maintaining high quality standards, and the need to effectively manage its business activities. Investors/ business owners, therefore, need a clear overview of financial, legal, technical, social and human safety risks to conduct business in a responsible and innovative manner. 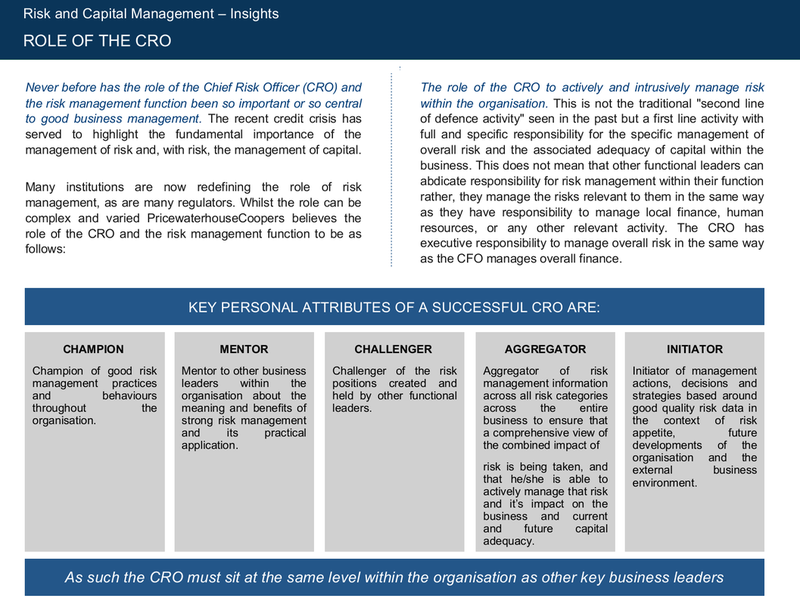 Chief Risk Officer (CRO) is now becoming important position who is designed to be integrated and aligned with existing management processes and risk management activity then understand, manage and monitoring these challenges so that downside risks are minimized while opportunities are maximized. Description of Responsibilities: Responsible for and has the authority to make all decisions on risk management issues that directly impact the strategic direction of the company. Sets the strategic risk management vision and is charged with delivering that strategy to the company using exceptional leadership skills, network of internal and external alliances and highly developed business skills. Possesses an intimate knowledge of internal business processes and the organisation's industry. 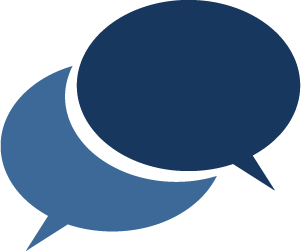 Exhibits business process knowledge, possesses a broad based operational perspective and provides solutions for non-insurance related business risk issues. Recognised risk leader, who is a dynamic, proactive and decisive person. Adapts well to and initiates change in the organisation. Seeks ways to optimise risks in the organisation as a competitive business advantage. Key traits for the individual in this position are: highly developed communications, team player, change agent, strategic and creative, excellent project management skills and the ability to drive performance from all areas within their company. To find out more information about how you or your company could benefit from this services package simply call one of our team of insurance specialists.